It's that time of year again — time to go back to school. But even if your school days are behind you, that doesn't mean you can't learn something new this fall. I will be teaching two bookbinding classes, a bookbinding workshop, and a graphic design class at Watkins College of Art, Design & Film this fall. Online registration is now open, so it's the perfect time to browse the catalog and pick out a course that catches your interest. All of these classes are offered through the community education department at the college, so anyone can sign up. You can find all of the details about my book arts offerings below, and please don't hesitate to get in touch with me if you have any questions. Hope to see you in class this fall! When: Mondays, Sept. 15 – Nov. 10; 6 – 9 p.m. Learn how to make more than a dozen types of books in this introductory class. Students will become familiar with the materials, tools, techniques, and vocabulary of handmade books. Students will create their own books each week, starting with simple folded structures and building toward intricate books that can be used as journals, sketchbooks, photo albums, and sculptural displays. Students will explore the essentials of paper grain, folded signatures, hardcover and softcover books, and binding by hand. All tools and supplies included in the materials fee. When: Wednesdays, Sept. 17 – Nov. 12; 6 – 9 p.m. Build your bookbinding skills in this class focusing on a handful of ambitious bindings with exposed stitching along the book spines. Students will go in-depth with a series of binding lessons — learning new techniques and styles while having substantial time to personalize each project. We will explore long stitch and link stitch variations, exposed tape binding, and the icicle binding, among other styles. These bindings will allow students to create journals, sketchbooks, and photo albums. 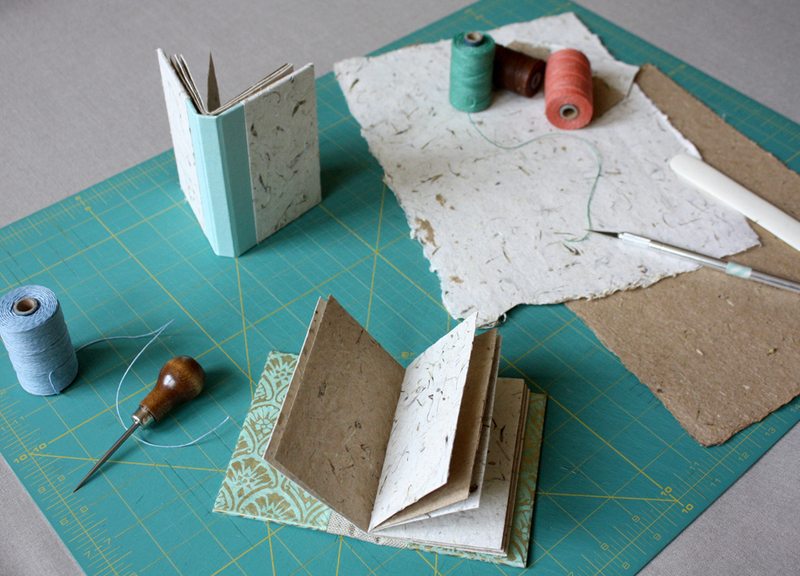 You’ll leave this class with handbound books and the skills to continue binding at home. 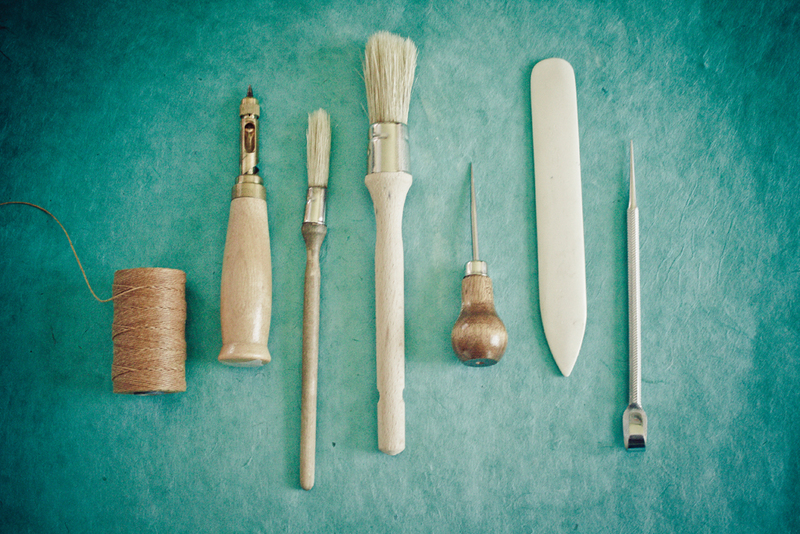 Prerequisite: completion of Introduction to Book Arts, one of my bookbinding workshops, or comparable experience. Tools and supplies included in materials fee. When: Saturday, November 15; 10 a.m. – 4 p.m. Create eye-catching ornaments perfect for the holidays! Students will complete three types of miniature books while learning basic bookbinding techniques. One ornament will be a hardcover book with blank pages, ideal for collecting holiday memories to reflect on each year. The second book will be bound in a lotus style that can hang on your tree in two different shapes: either opened into a three-dimensional star, or folded closed into a neat diamond. The third ornament will be folded and stitched together to create an accordion book resembling a festive star or snowflake. No bookbinding experience required. All tools and materials provided.